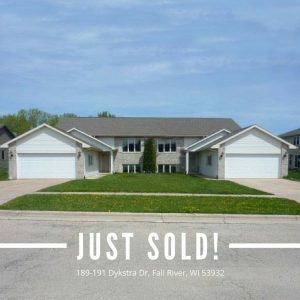 189-191 Dykstra Dr Fall River, WI 53932, SOLD! Congratulations to Joe and Rachel Reynders, Kelly Januchowski, and Matt Remus on the purchase of their new duplex! The two couples wanted to live in close proximity to each other, so they were looking for a home large enough to fit them all, but also a place that could give them each some privacy when needed. Throughout our search, our selling agent loved joking around with the couples as they all shared a similar taste for sarcastic humor. 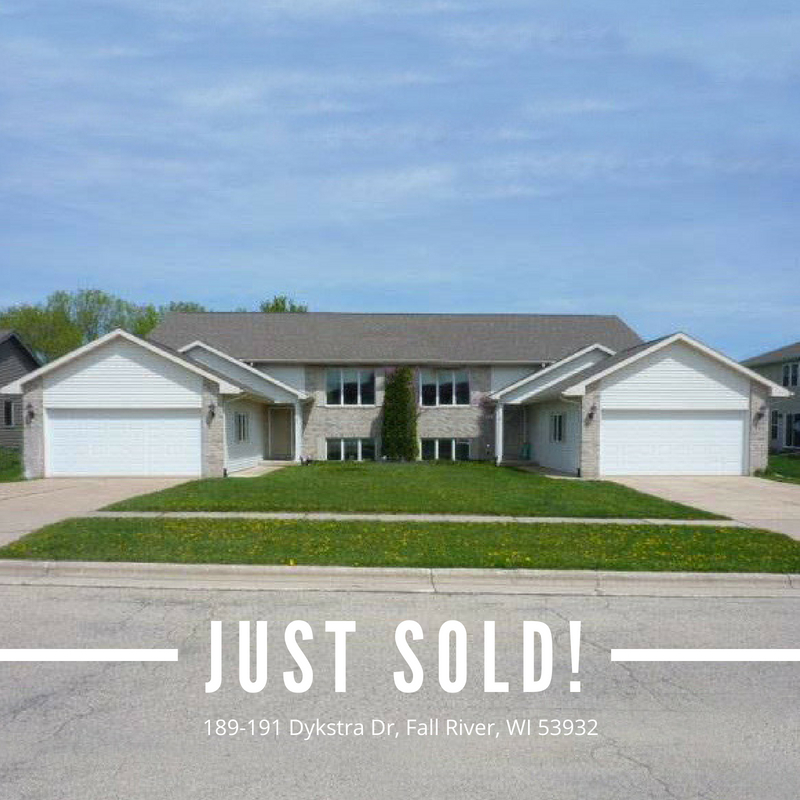 After looking over a few options, they settled on this delightful duplex in Fall River, Wisconsin.